Come to The Center for Wooden Boats at Cama Beach for their annual Mother’s Day Saturday Sail. Arrive early to sign up for free boat rides on a variety of boats (sailing, paddling, rowing, or motor), then participate in other fun activities while you wait for your ride (toy boat building, park activities, etc.). Ride sign-ups will fill up early; rides will happen throughout the day. A Discover Pass is needed for parking at Cama Beach State Park. 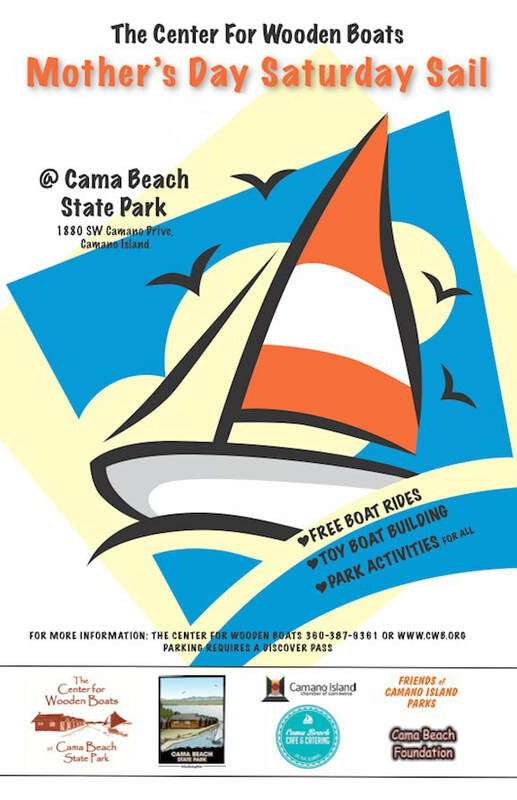 For more info please contact The Center for Wooden Boats at Cama Beach at (360) 387-9361, cama@cwb.org, or ​​http://cwb.org/events/cama-beach-mothers-day-saturday-sail.